Our product, EZOfficeInventory is a leading equipment tracking solution and we've been busy disrupting this space for a few years now. When we started, our goal was to help office employees manage and keep track of assets assigned to them. But if we had stayed there, there might not have been much of a product for me to blog about today. But fear aside, when I look back today, I am comforted by a decision we made fairly early on, which was to be customer centric. Our goal is to make products for businesses that help them be successful. That meant being a high impact company. Money and revenue being a secondary goal. And there were more than a few times when we had to make long term decisions and this rule came in handy. As an example, one of our customers wanted us to customize the solution and have it deeply integrated with their backend system. They were willing to pay some serious dough but we decided not to proceed as it was less about enabling the majority of our customers in being successful and more about taking the money and doing what one customer wants. 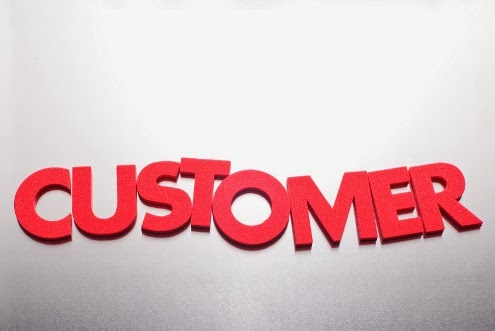 Another good outcome of having a focus of customer-first is that everyone in the organization understands that we cannot leave our customers to hang out to dry. If there is ever a data consistency issue, or a system availability issue, its our number one priority. It doesn't matter if the customer facing the issue is on a free package or a paid one, we never let a customer hang out to dry. Because of this, we've seen good retention and decent referral business. But most importantly for me, its helped comfort me in knowing that we've come a long way in achieving our goal of providing a valuable product to our customers. And every now and then, speaking to a customer who raves about how our product has helped their business in being more efficient or successful always makes my day!